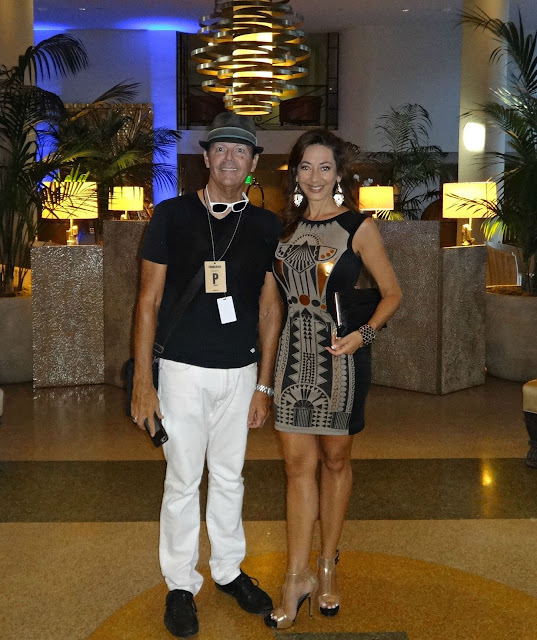 For the final "splash" of Swim Week, James and I stopped at the Tides Hotel and later the Versace Mansion. 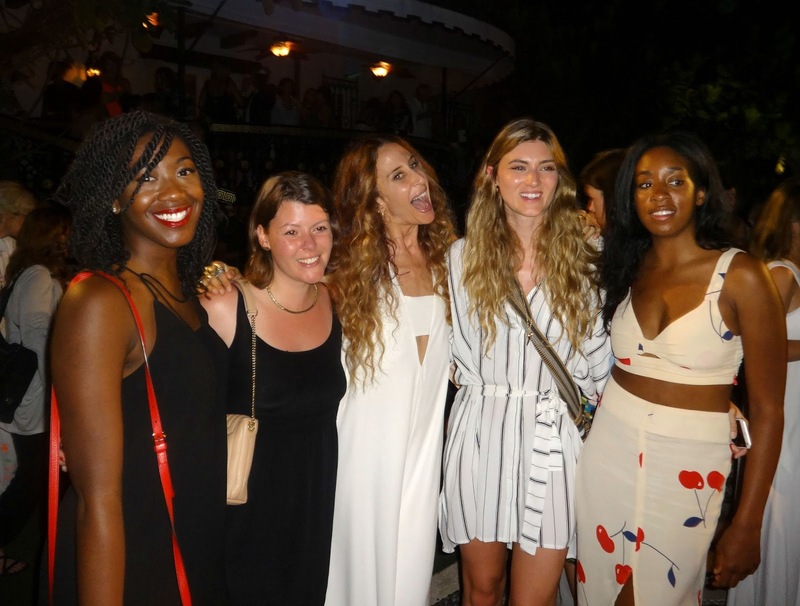 The Tides Hotel was hosting "A Cosmo Life", a fashion and beauty show in honor of Swim Week featuring Kabana, Maioun, and Dafné brand lines. But our favorite highlight is always the hotel itself. Even though we frequent this hotel often for business, it's a hidden gem in the overcrowded Ocean Drive that we never tire of its splendor. 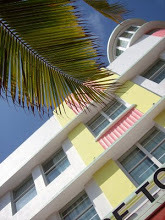 While there are a few nice hotels on Ocean Drive, my favorite is The Tides. Why? Well it's in the middle of the district, it's New York deco style highrise with no streamlining, and with only 45 suites, and they have the largest rooms and best views from any hotel room. The Tides is also the quietest. At my age, quiet is good at night when you want to sleep. There's plenty of noise on Ocean Drive and high energy in other boutique hotels. 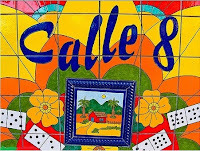 To learn more about the history, architecture, secret gambling room site, and more about this special hotel--you want to take the Art Deco Walking Tour! This is the original bar tucked away behind the elevator lobby. It's my secret hideaway when I need peace and quiet during my rounds on South Beach. It also served as another "secret place" in history. Take the tour! Our visit was brief as we needed to head over to the Versace mansion for required media check-in. This was exclusive event and Invite Only. The Versace Mansion, formally called Casa Casuarina, is named after an Australian pine tree with long whipping branches that withstood hurricane winds. Few people know the origins of this name. 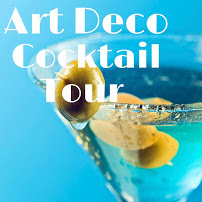 (To learn more about the history and architecture of the Versace Mansion, visit Art Deco Tours). Mara Hoffman is a fashion designer from New York. Her aesthetic is inspired by her global travel and recurrently draws from nature and mythology. Her 2016 collection started with the designer's recent travels to Morocco where she was inspired by the country's people, art, textiles culture and landscapes. By taking these inspirations and pushing the envelope in terms of design, the collection has taken on a life of its own. Rather than the traditional runway show down the catwalk, here models bordered the Thousand Mosaic Pool in solitary position. Bohemian style head garments and long dangling accessories bolstered the solid white or symmetrical striking prints. Cohesive, eye-catching and comfortable. The show was a success. A regular visitor to the mansion, I have enjoyed these views both in daylight and under the night sky. Tonight, the models looked like adornments, accoutrements to the illuminated pool and mosaic wall. The show was ethereal. I'm continually amazed how I am transported to another world amidst the bustling tourist crowds right outside the iron gates. A popular Saturday night, the pool courtyard drowns out the exterior noise. Despite the packed media crowd and VIP guests inside the small square footage area, complete silence blanketed the show. Media writers and bloggers like myself, quietly tiptoed around to take our photos. Yes, we were not in South Beach, but sojourning in Morocco fantasyland. Excellent presentation. My favorite apparel in the entire show. The nice perk about being a regular face/visitor, is that I can access other rooms restricted to the frenzy of attendees outside. So James and I went inside the pool bathroom to cool off in the air condition. Tonight we were all melting in the sweltering humidity. Even the models were perspiring sweat beads. Christine standing in the shower for the pool. The ceiling is even higher! Kudos to another fabulous Swim Week in Miami! Swim Week Miami 2016 --My Christmas in July!